Work with us! We encourage prospective PhD candidates, MSc and undergraduate students, and postdoctoral associates interested in our research to contact Dr Ruth Misener or Dr Panos Parpas. Please include a CV and a brief statement of interest. 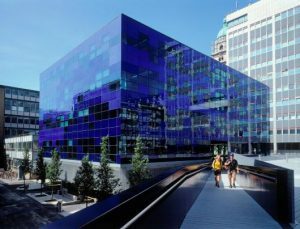 Consistently rated amongst the world’s best universities, Imperial College London is a science-based institution with an outstanding reputation for excellence in teaching and research. Imperial College is located in the center of London, with Hyde Park, Royal Albert Hall, and many museums next door. The Department of Computing at Imperial is one of the largest computing departments in the UK and a world leader in academic research in computer science. There are over sixty academic staff who are actively involved in research. This creates a lively and stimulating atmosphere in which to study Computing and ensures that our teaching is bang up to date. We also enjoy strong links with UK industry, which helps to ensure that our research and teaching are well informed and relevant to the needs of society. The Department has been awarded the top rating in each of the Research Assessment Exercises (RAEs), Research Excellence Frameworks (REFs) and Teaching Quality exercises, undertaken by the Higher Education Funding Council for England (HEFCE).